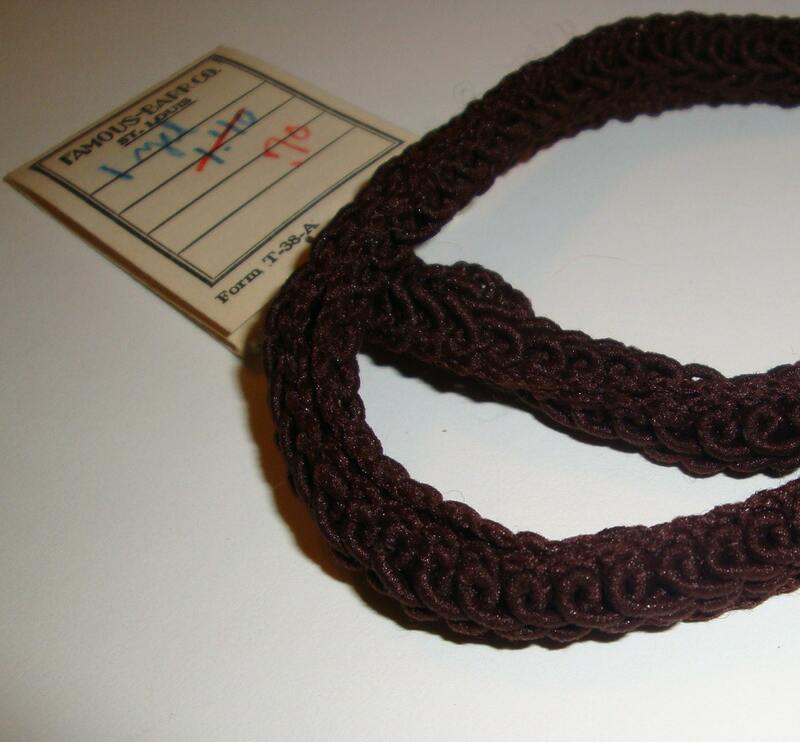 Vintage braided in a dark chocolate brown color. New unused stock, still has original tag from the former Famous Barr department store in St. Louis. In very good condition, ready to be used on any sewing or crafting project you have. The measurement on the tag says 1 yard, however, I'm getting 32 inches. Fiber content unknown. More trims? I'm happy to combine shipping. I do ship worldwide.